This is a real statement piece. 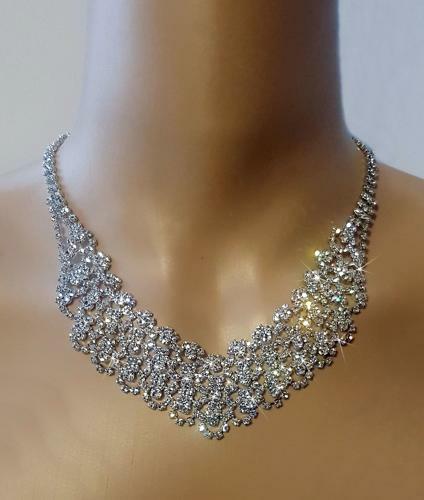 Shimmering with a multitude of beautiful white Crystals in a 'V' shape collarette style. The length can be altered from 39cms to 50cms to enable the wearer to alter it to the desired length. The width of the 'V' detail is 3cms.